Brand new and hot off the press, this cookbook is not your average cookbook for children. With enriching curricula accompanied with adaptations to fit all developmental abilities, this cookbook goes beyond simply providing recipes to use in the classroom. Everybody Can Cook was developed to allow instructors in both general and special education classrooms to bring hands-on cooking classes to children of all abilities, ages 2 and up, and to foster a positive relationship between children and food. 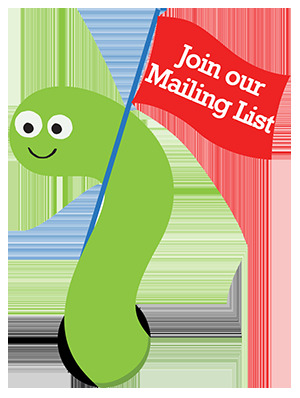 This week only, save 15%* on your order of our newly added Everybody Can Cook: Enriching cooking curricula with adaptations for children of diverse physical and developmental abilities by using promo code COOK15 at check-out! Children strengthen their motor skills, self-esteem, socialization, teamwork, and independence through cooking and practicing basic cooking skills. In addition, they will enhance skills in other traditional disciplines such as reading, mathematics, science, social sciences, nutrition, music, art, history and geography. The Creative Kitchen offers training workshops on implementing the curriculum. Spiral bound, 124 pages, by Cricket Azima. Don’t forget to use our promo code COOK15 at check-out to take 15% off* your order of Everybody Can Cook! *Offer is valid until 11:59pm EST on January 20th, 2015. Not compatible with any other offers. Be sure there are no spaces or dashes in your code at check out! Pick of the Week: Jumbo Magnetic Spin Wheel & Spinners – Transform Your Classroom Whiteboard! Teachers, transform your classroom whiteboard into an interactive, whole-class game space with the Jumbo Magnetic Spin Wheel or the Magnetic Whiteboard Spinners. Simply place the spinners on your whiteboard and use dry-erase markers to create the games and activities or use the the spin wheel with its colorful accompanying templates to set up the class activities you need—the possibilities are limitless! This week, save 15%* on your order of one or both of our featured products—the Jumbo Magnetic Spin Wheel and Whiteboard Spinners, when you apply our code SPINZ8 at checkout! The jumbo 16″ Magnetic Spin Wheel comes with 3 double-sided write-on/wipe-off templates (right) that contain 4, 6, 8, 12, and 32 sections, along with a blank, to enable complete customization. You can organize and manage classroom tasks from assigning responsibilities to choosing students and activities. Create interactive learning games for a fun spin on subject-specific review and reinforcement. The includedTeacher Guide contains 16 math, language arts, readiness, and classroom management activity suggestions. The set of Whiteboard Spinners includes three giant 11″ spinners (below) that help turn your whiteboard into a custom game or activity for the whole class. Draw a circle, write in content, attach a spinner, and play! This week only, save 15%* when you order the Jumbo Magnetic Spin Wheel and/or the Magnetic Whiteboard Spinners and use our promo code SPINZ8 at checkout! *Offer is valid until 11:59pm ET on May 20, 2014. Good for one-time use only. Not compatible with any other offer. Be sure there are no spaces or dashes in your code at checkout! Teach math skills in an active way! Sharpen early math skills, along with shape, number, and color recognition through a variety of kinesthetic games with the All Around Learning Circle Time Activity Set. Gathering for circle time has never been so much fun. This week only, save 15% on your order of the All Around Learning Circle Time Activity Set by entering in promo code ALLCRC7 at checkout. Learning through play will help encourage gross motor skill development and group cooperation skills, as well as increase self-esteem and positive attitudes in your students. 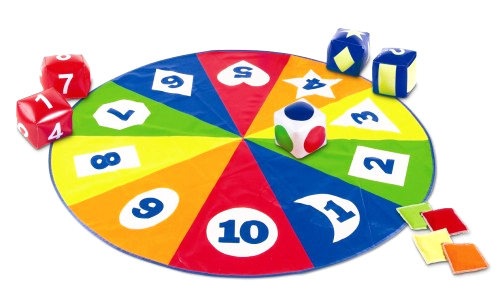 This set includes: one lightweight, wipe-clean vinyl mat that measures 4 feet in diameter and folds easily for storage; five inflatable cubes (5 inches each); five canvas bean bags in red, orange, yellow, green, and blue (3 inches each); and an Activity Guide that offers suggestions for activities, such as Color Find, Circle Around the Colors, Number Line-Up, Number Toss, and more. This circle time mat is a wonderful addition to the classroom and in the home for more structured learning. Don’t forget – this week only, you can take 15% off your order of the All Around Learning Circle Time Activity Set by using code ALLCRC7 when you check out!